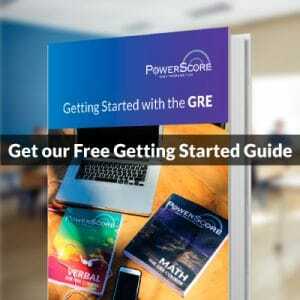 What Should You Do the Day Before the GRE? After weeks—months!—of hard work, it’s finally here. Test day. Tomorrow. You might be feverishly cramming some last-minute algebra questions, or reviewing sets of reading passages (although we’d encourage you not to!). However, don’t forget that there are many things you can do outside of test prep to increase your chances of doing well on the test. 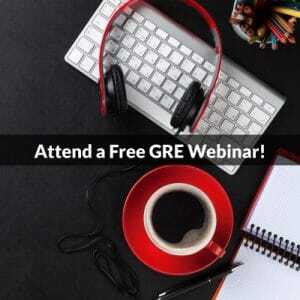 What should you be doing prior to the GRE to make test day hassle-free? RELAX! Put the books down, close your computerized practice tests, and try not to worry about tomorrow! At this point you should feel you’ve learned the techniques, and that you’re ready to attack the test. Focus more on confidence than concepts. Make sure you have all the necessary documentation required at the test center. Double-check the information on your admission ticket for accuracy. Make sure you have the correct form of ID to show at the testing center–otherwise, you will not be able to take the test. If you are not familiar with your test center and it’s reasonably near you, drive by the test center and examine, as best you can, the facility and parking situation. This will alleviate any anxiety or confusion on the day of the test. Follow your normal routine when you wake up. For example, if you do not regularly drink coffee, do not start on the morning of the GRE. Constancy in your routine will allow you to focus on your primary objective: performing well on the test. Do a few practice questions if time allows, preferably questions with which you’re already familiar. This will essentially provide an opportunity for you to “warm up” before beginning the exam, as well as increase your confidence since you already know how to attack the questions. Three or four problems should be enough to get you mentally prepared for the test taking experience. Dress in layers, so you will be warm if the test center is cold, but also be able to shed clothes if the test center is hot. Note: For the majority of test centers no hats or hoods are allowed (except items of religious apparel). Leave early for the testing center—even if you arrive a half hour ahead of time, you can sit in your car and read or relax. It’s better than getting caught in traffic and having to rush to arrive on time! As you prepare to leave for the test center, run through the test in your head, visualizing an exceptional performance. We strongly believe that performing well on the GRE requires you to believe that you can perform well. Imagine how you will react to each math question and reading passage. Many athletes use this same technique to achieve optimal performance in sporting events, and we cannot overstate its importance. Upon check in, test supervisors will ask you to present your admission ticket and personal identification and will typically take a digital photograph. Supervisors are instructed to deny admission to anyone who does not present proper identification. The test supervisors will generally assign examinees a seat. Once you are seated the automated test will guide you through the rules and instructions, allowing you time to get more comfortable and settle in to test-taking mode. Use this time to compose yourself and channel any nervousness into focused, positive energy. If you find it necessary to leave the room during the test, you must get permission from the supervisor. You will not be allowed to make up any missed time. All test materials, including scratch paper, are considered property of ETS and must be returned to the test supervisors after your exam ends. If you engage in any misconduct during the test, you may be dismissed from the test center and may be subject to other penalties, up to an including being precluded from attending graduate school. Examples of misconduct include taking part in an act of impersonation; creating a disturbance; giving or receiving help; removing test materials or notes from the testing room; or using books, calculators, ear plugs, headsets, rulers, prohibited paper, or other aid. If you encounter a problem with the test or test center itself, report it to a test supervisor. Reportable problems include power outages, technical errors, and any unusual disturbances caused by an individual.